What is a CSF Leak? The 20th January saw the inaugural CSF Leak Association Medical Advisory Committee meeting at the National Hospital for Neurology and Neurosurgery in London. 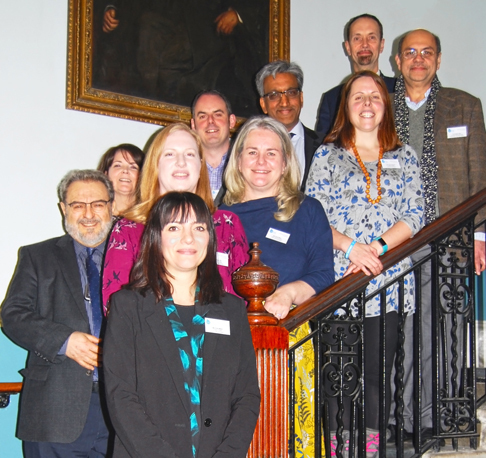 A group of doctors from around the UK, along with members of our Board of Trustees and our Patient Representative, met to discuss cerebrospinal fluid (CSF) leaks and to begin to work together to raise awareness and secure progress within the UK health systems. The meeting was a culmination of almost two years of work by the CSF Leak Association and was the first time that medical professionals met around a table with the sole intention of talking about health care as it relates to this debilitating and under-diagnosed condition. An overview of the CSF Leak Association’s work to date and plans for the future were shared, followed by an acceptance of the MAC Terms of Reference. Dr Manjit Matharu was elected as chair and Clare Joy was elected as Secretary. Sarah Mead was also in attendance in her capacity as current patient representative. The remit of the patient representative is to represent the CSF Leak Association’s membership, and patients more generally, within the organisation and, in particular, on the Medical Advisory Committee. an agreement of annual objectives. Whilst realistic about the scale of the task ahead, all parties were deeply encouraged, enthusiastic and positive about the future, secure in the knowledge that a firm working relationship has now been established between the Association and the MAC. This was an historic meeting for CSF leaks in the UK. Find a doctor near you. The CSF Leak Association is a Scottish Charitable Incorporated Organisation (Charity No. SC046319) promoting awareness of cerebrospinal fluid (CSF) leaks, with a particular focus on spinal CSF leaks. Information on this site is provided in good faith and is intended to inform discussion and promote research. It cannot, however, be guaranteed error-free and is not a substitute for professional healthcare advice. Sign up to our mailing list and download a copy of our latest newsletter by clicking here.